Technical details; Nikon D700. Nikkor lens 17-35mm f/2:8 @17mm. ISO 250 : f/4 : 30”. Amsterdam’s canals are endlessly photogenic and so, for you photography enthusiasts, try to take advantage of being here by getting out there as much as you can – in all seasons and at different times of day. I love the deep night which is when this shot was made – 00:45 in the morning. For night work a tripod is clearly essential. Get yourself as lightweight as you can afford without sacrificing sturdiness. Manfrotto, Velbon, Gitzo or Giottos – which I use – are all great brands. I’m working here on a 30 second shutter speed. In most urban situations that is usually more than enough to capture any movement in the clouds or the trees.. these add texture and interest to the shot. You’ll be amazed at the colours you can capture when you leave the shutter open for this length of time. Blues are deeper and reds becomes richer. 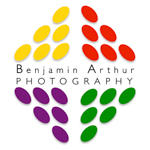 If you are interested in spending a couple of hours with me and your DSLR on a Photo Walk improving your night time photography skills why not drop me a note to benjaminarthur@gmail.com or call me on (0)683 943 552.